John Lennon’s former home is currently on the market for nearly £14m. The mansion, known as Kenwood, is thought to be where John wrote the songs that feature on the Sgt Pepper’s Lonely Hearts Club Band album. 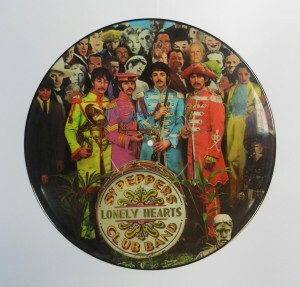 This was the eighth studio album, released in 1967 by the Beatles and included hits such as With a Little Help from My Friends, A Day in the Life and Lucy in the Sky with Diamonds. 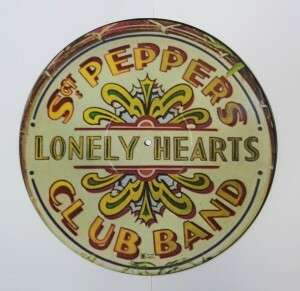 The Beatles sold approximately 70 million copies of the album (pictured). The luxury property is a six bedroom mansion in Weybridge, Surrey, bought by John Lennon on July 15 1964 for £20,000. He lived there with his first wife, Cynthia, between 1964 and 1968. The 1,110 sq m house has been refurbished and currently contains a full size snooker table and a heated indoor swimming pool with sauna. The property is reported to have six reception rooms and six bathrooms and is set in 1.5 acres of land with well kept gardens and extensive views over the Surrey Hills. Built in 1913, it was originally unimaginatively named ‘Brown House’ and was renamed Kenwood after Mr Ken Wood, of food mixing fame, bought the property. In 1988 when John made the film Imagine: John Lennon it featured parts of a home movie which show Lennon at Kenwood in 1967. In fact, the property is located in an area steeped in Beetles history; with Kenwood being very close to SunnyHeights, the former home of Ringo Starr, and only a short drive away from Kinfauns in Esher, the former home of George Harrison. A piece of history up for sale then, in a prime location, but with a price to match.